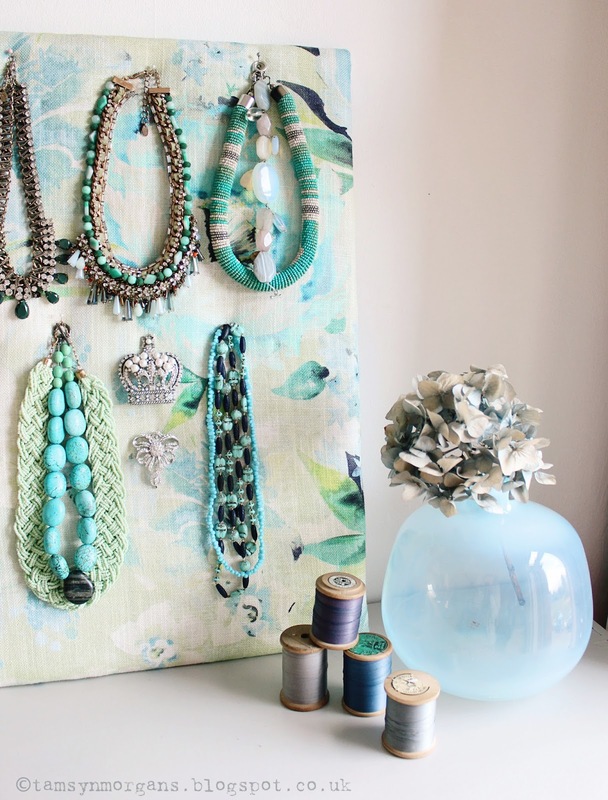 You may remember a few months ago, when I posted my DIY memo board tutorial, using the gorgeous fabric that Laura Ashley sent me. (You can find the post and tutorial here – it’s so easy to make, give it a go!) I love jewellery – costume jewellery, vintage brooches, statement necklaces – anything with a bit of sparkle. 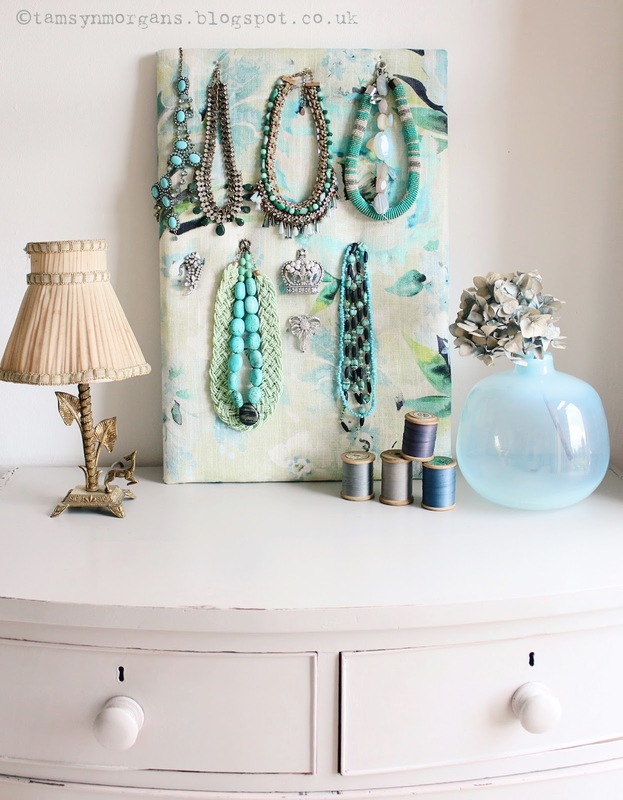 I store my jewellery in a drawer in my vintage dressing table. I use the term ‘store’ loosely – what I mean is that I throw it all in there, so it all gets completely tangled up, and three minutes before I’m due out the door to go to work, I’m trying to untangle the glittery mess whilst muttering rude words under my breath. So, I decided enough was enough, and that I would display my bling on my memo board. I’ve just pinned my jewels on with dressmaking pins. Not only does it solve my storage issue, but it also looks very pretty. 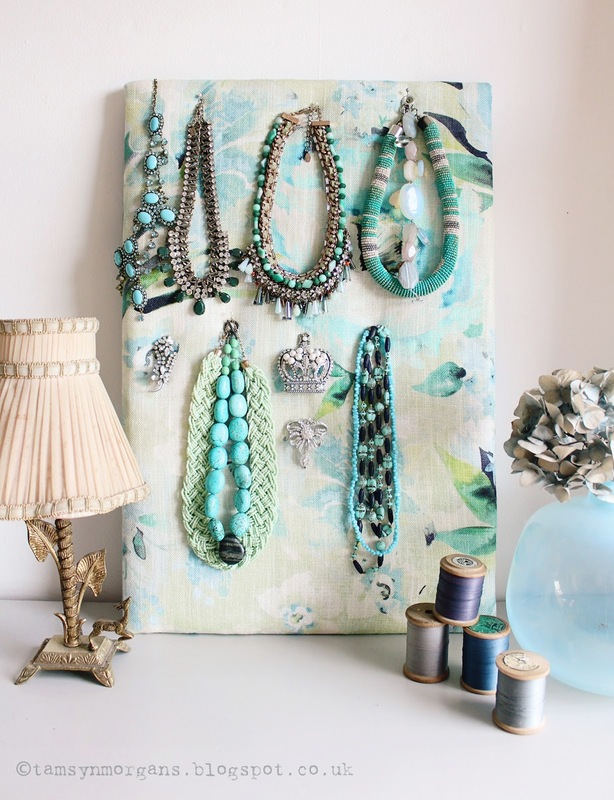 I’ve also got a bit of a turquoise thing going on here which I really like! My lovely mum is coming to stay for a few days. We are going to go shopping, do some bits around the house, and generally have a giggle!